Slapping a fresh coat of paint on the walls is one of the quickest, easiest and most affordable ways to refresh a room. Once you are standing in front of all those swatches though, choosing colors can make you feel a bit like a kid in a candy store. Before you reach for the first hue that catches your eye, consider what that color will communicate when it’s on your walls. Peek at your closet and see what you wear the most; this can be a great indicator of which colors make you feel your best. 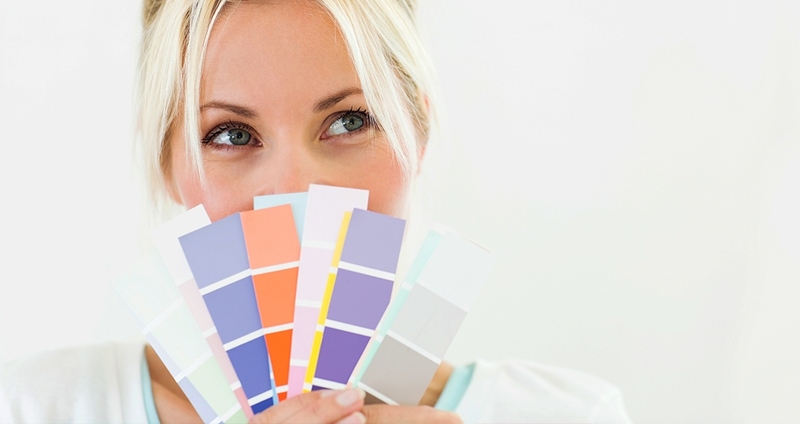 Once you’ve decided on colors, take the time to paint samples on your walls. If you still like them and how they make you feel, morning and evening, then grab your brush.